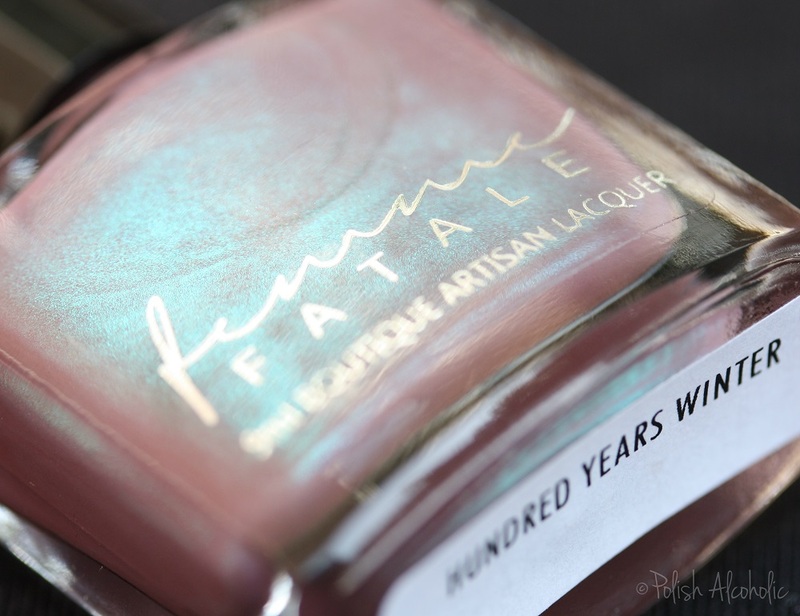 Hundred Years Winter by Femme Fatale is such a beauty and quite unique to my stash. My photo’s doesn’t do it justice. It has a gorgeous icy blue glow in it. The formula is great. I used two coats for full coverage. 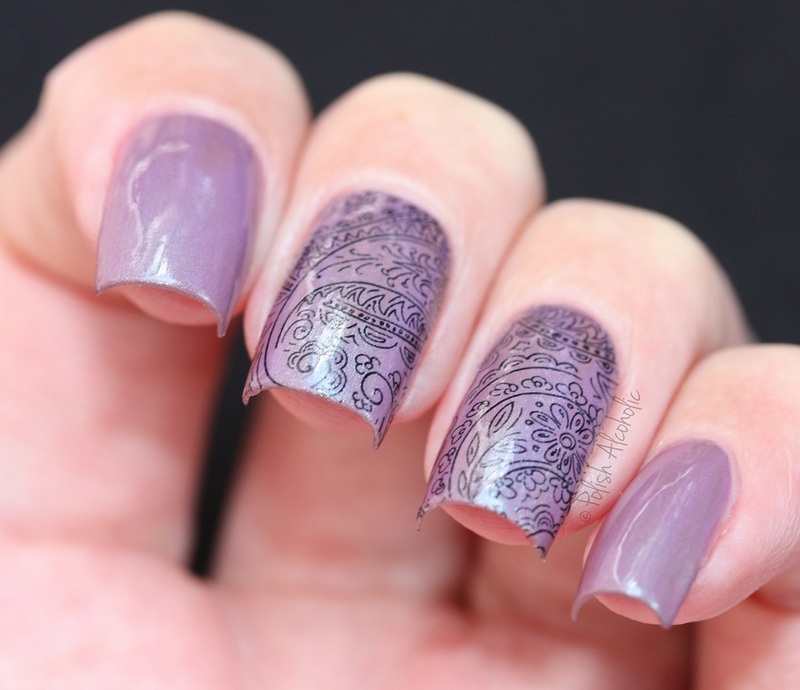 On the nails of my middle- and ring finger I applied water decals by MILV (number S47). The macro shot below shows the blue glow a bit better but still not as much as it shows in real life. 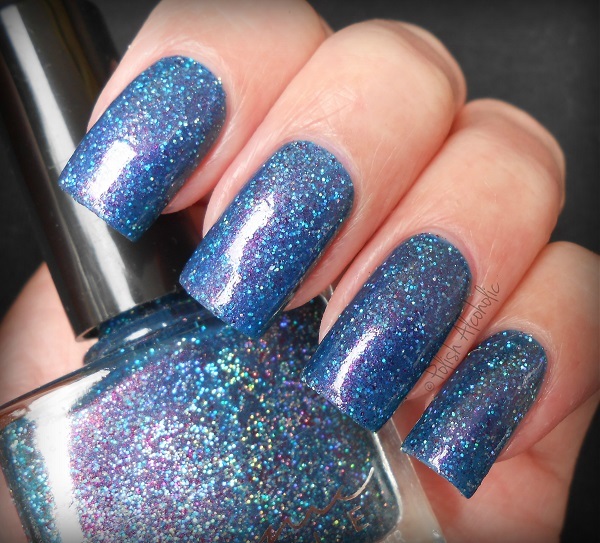 Take a look at the bottle, so pretty: Femme Fatale polishes are available at their website. Note that they have pre sales every once in a while which lasts for only 5 days. So if you have some Femme Fatale’s on your wishlist, I recommend to follow them on Instagram so you don’t miss out on future pre sales. I’ve ordered twice and they are gone within an eye blink. 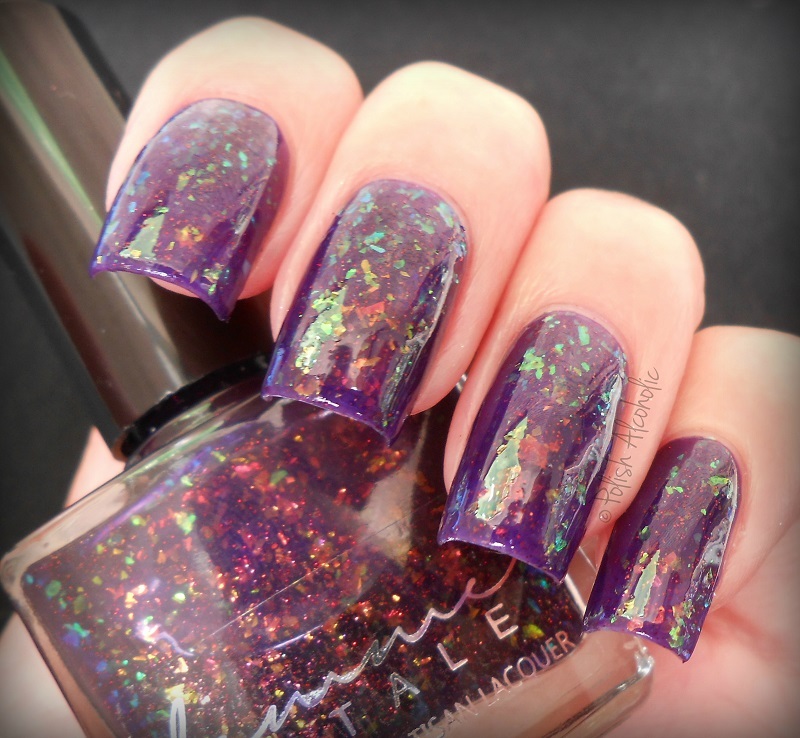 I’m back with another creation by Femme Fatale Cosmetics. I have to say, since trying my first Femme Fatale’s I’ve got a crush on this brand. For real! Every polish that I’ve tried so far is totally fab and unique to my stash. 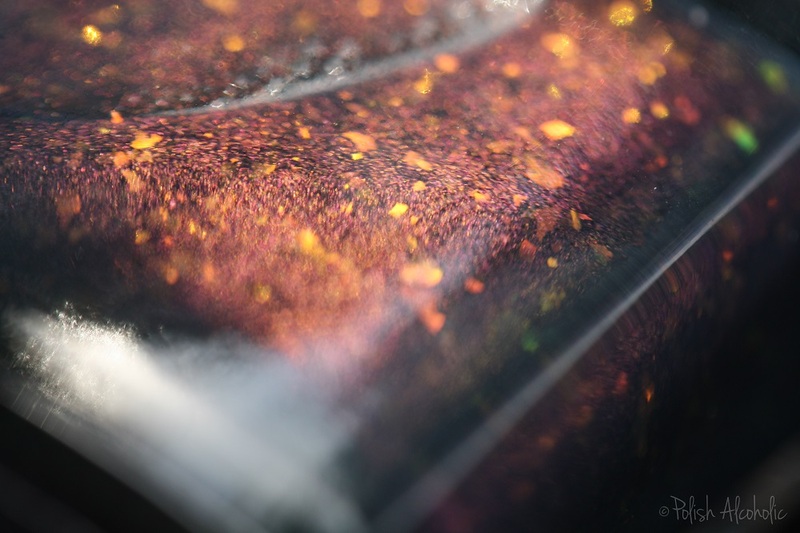 The color/glitter/finish combo’s are just stunning. 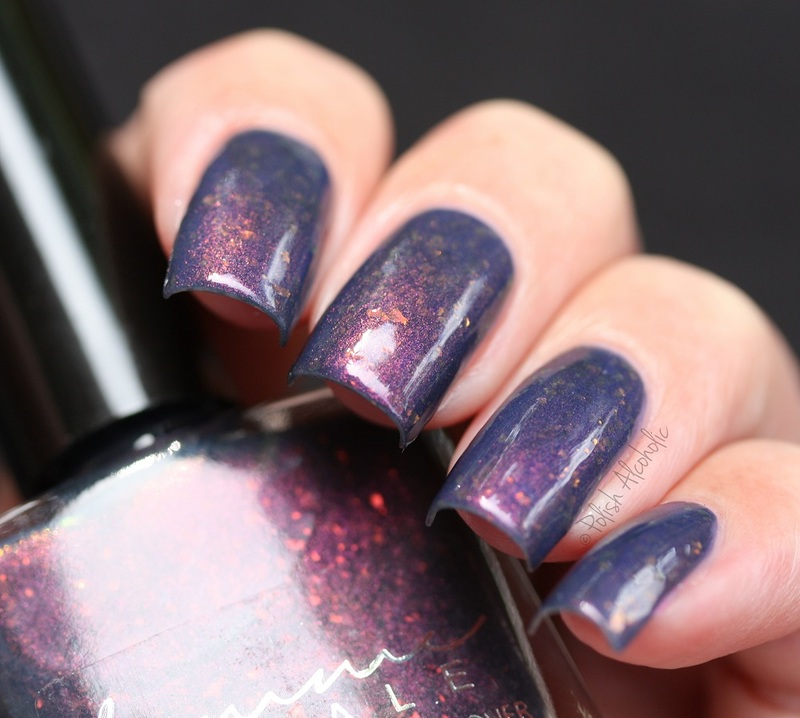 Let’s take a look at Poisoned Apple: See what I mean?… that purple glow tho! Lovely! The formula is nice. I used three thin coats plus top coat here. I got mine at their website. If you’d like to add some of their polishes to your stash I highly recommend to follow them on Instagram. Why? Well, the ones I purchased were pre-orders and only available for 5 days. You don’t want to miss out, right?! OMFG were the first words that popped in my mind when I saw a photo of Femme Fatale‘s Pyramids On Mars.No more works needed: Such a stunner! This is three thin coats plus top coat.